Being on the January gym grind has been great for my body, less so for my barnet. My hair was looking greasy and sweaty at the roots and dry as heck at the ends. Let’s not even talk about how sketchy my extensions were looking. I really wanted to give them a boost so I agreed to do the #betterhairinaweek challenge with Hairapeutix. 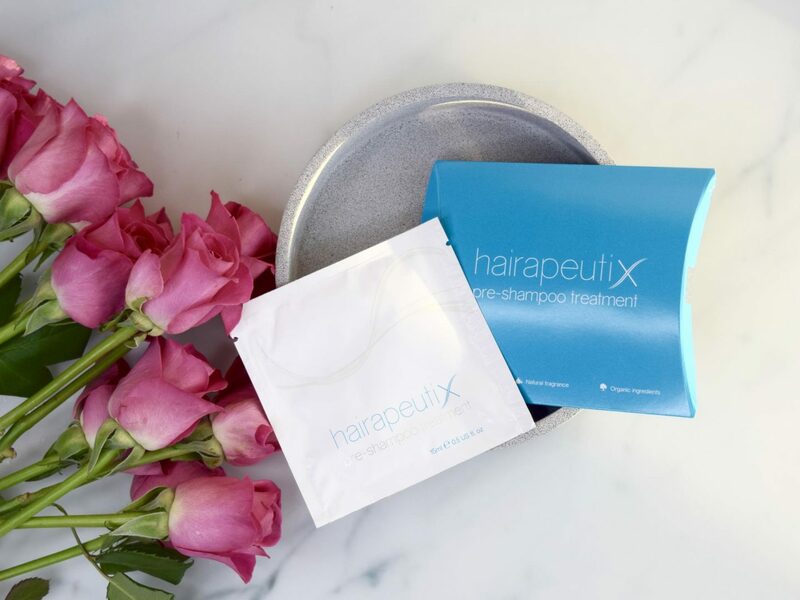 Hairapeutix is a revolutionary pre-shampoo treatment made with a signature blend of natural oils and organic ingredients, designed to revitalize, condition and restore tired hair and extensions. 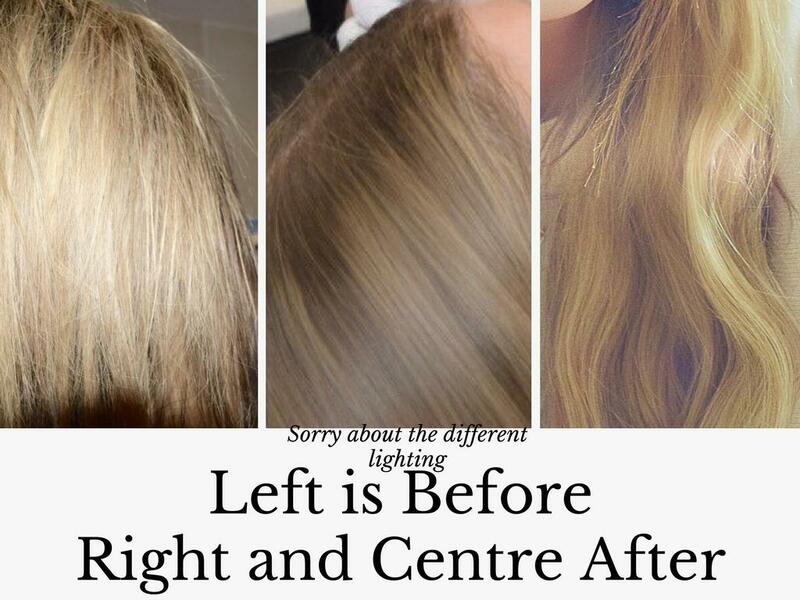 The nourishing treatment is designed to be used BEFORE washing your hair, which encourages the absorption of the unique treatment for long lasting, effective results. The pre-shampoo treatment is made with natural ingredients and is free from silicones, parabens and chemical nasties. Either warm the sachet in your hands for a few seconds to fully liquefy the contents or pop in a mug of warm water (not boiling)! 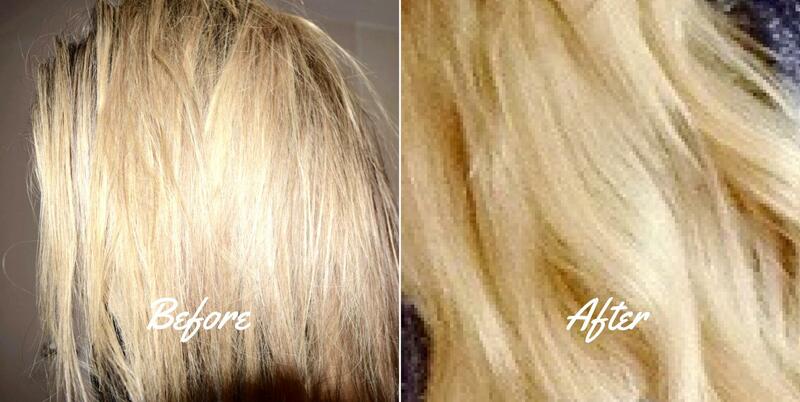 Leave for a minimum of 30 minutes- but for best results leave the product in overnight and wash out in the morning. I recommend wearing a scarf of shower cap so you don’t stain anything you touch. Simply shampoo it out and condition as normal, then style or dry your hair as normal. While the sachet looks small it contains plenty of product, more than enough to cover my hair and 14-inch human hair extensions. It smells gorgeous, a bit like a Bakewell tart with a tiny hint of coconut. It was really easy to smooth through the lengths and ends of my hair. I popped on a shower cap so I didn’t stain my sofa and chilled out for the evening with it on, leaving it on my hair for about 4 hours before shampooing and conditioning my hair. It reminds me of a modern version of those warm oil sachets I used to see my mum using! My instant thoughts were that my hair felt so smooth when I was shampooing, it’s normally quite tangly until I condition in. Once my hair was dry and styled I definitely saw a difference in the shine and smoothness of my hair. I am really impressed with this product and the price point. If you purchase the large box of 8 sachets it works out just over £1 per weekly treatment. Much cheaper than a conditioning sachet you can get on the high street for 1 use. I love what this has done for my extensions and my own highlighted hair. 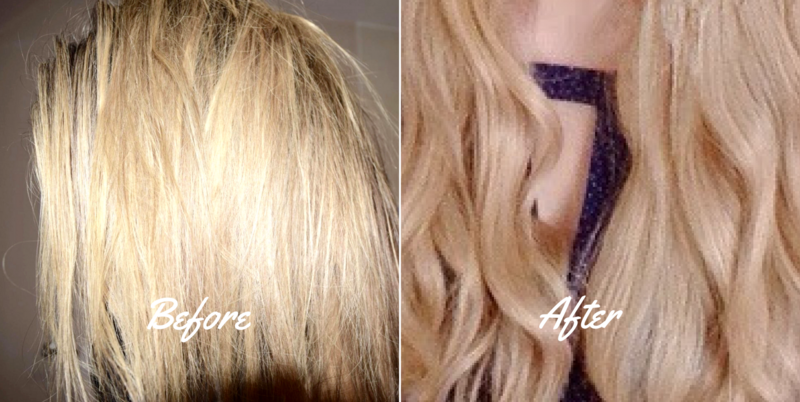 Would I recommend it to anyone with dry damaged hair or hair extensions that are heat/sun/chlorine damaged and need reviving? Absolutely. Since using these two sachets I have already repurchased 2 more. You can use it every other week so one box a month is great value. Have you ever tried a pre-shampoo treatment? What products do you love to use when your hair looks dry? Package of 2 sachets provided for me to review for free. 2 extra purchased by me. Not sponsored.